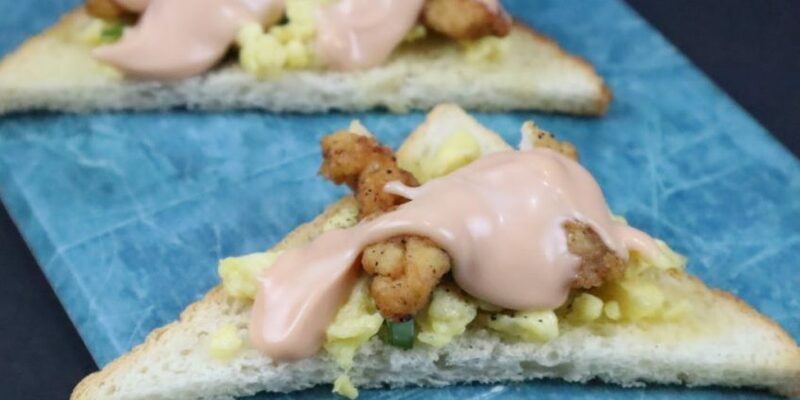 Chicken Mayonnaise open toast is so creamy and yummy toast you feel like heaven while eating. It is melting in your mouth just like anything. 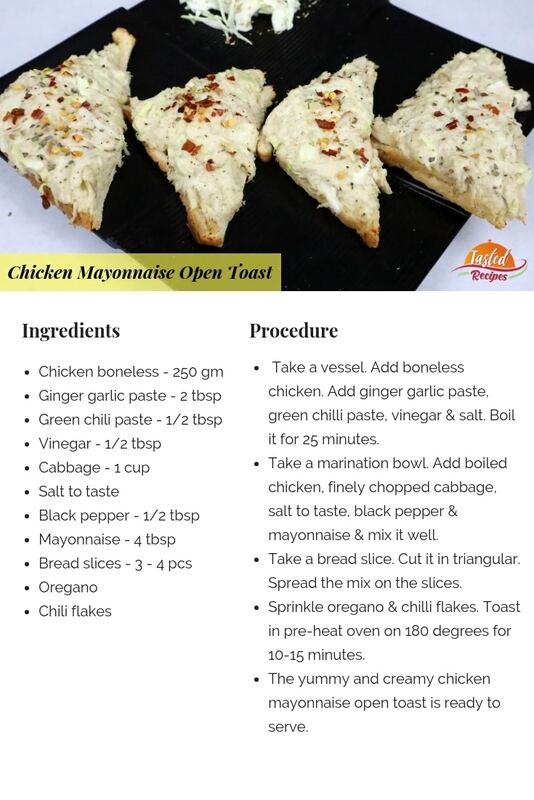 An amazing picture worthy snack toast ready in just 20 minutes. 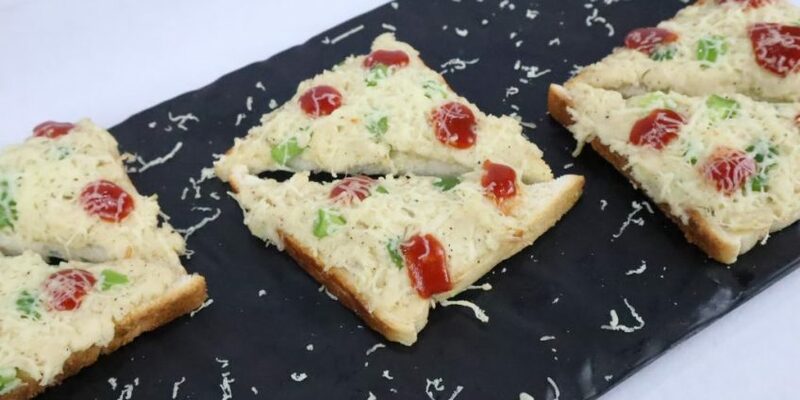 This toast has minimum ingredients and mostly available at home. You don’t need extra efforts to make it. This is easy to make open toast. Take a vessel. Add boneless chicken. Add ginger garlic paste, green chilli paste, vinegar & salt. Boil it for 25 minutes. Take a marination bowl. Add boiled chicken, finely chopped cabbage, salt to taste, black pepper & mayonnaise & mix it well. Take a bread slice. Cut it in triangular. Spread the mix on the slices. Sprinkle oregano & chilli flakes. Toast in pre-heat oven on 180 degrees for 10-15 minutes. 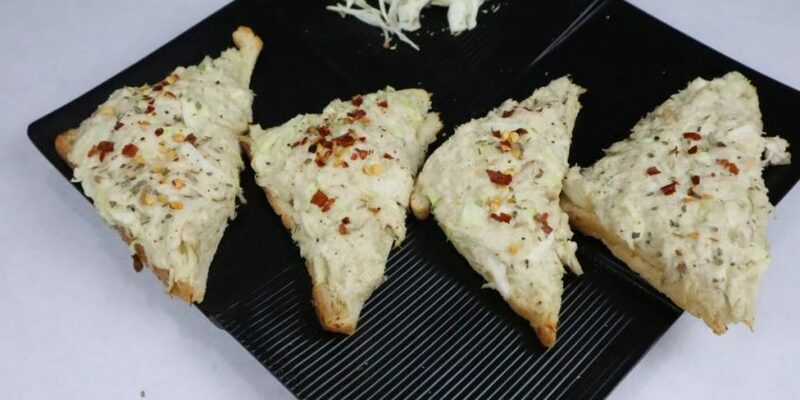 The yummy and creamy chicken mayonnaise open toast is ready to serve. Right-click on an image to show up a menu, choose "Save image as". All web browsers have a similar option, but with slightly different lingo. If you are on a mobile, you can tap the image and it will open image in a new tab of your mobile browser. You can then save it. 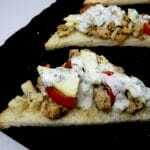 TastedRecipes.com 2017-2018. Content and Images are Licensed Under Creative Commons with Attribution Required.